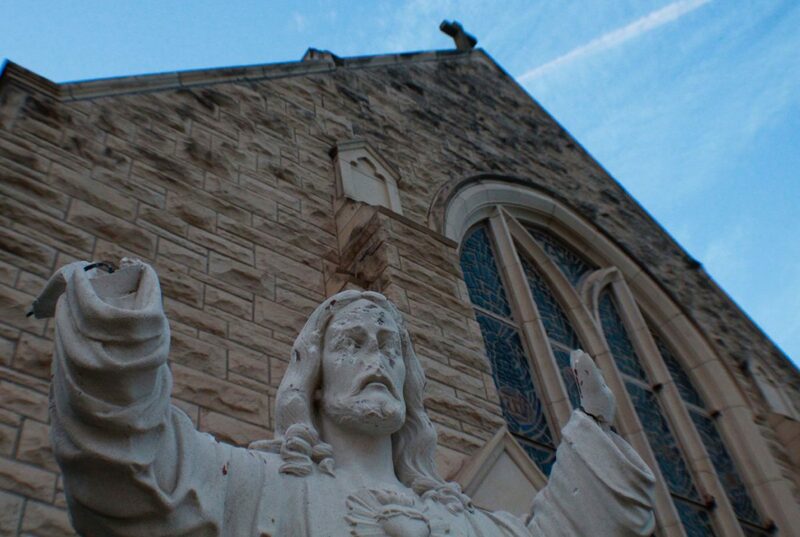 A damaged statue is seen Monday at St. Joseph's Catholic Church in Edinburg. EDINBURG — An investigation is underway here after St. Joseph’s Catholic Church was vandalized over the weekend, resulting in a broken stained glass window and the desecration of a statue of Jesus Christ. Cleaning staff arrived Saturday morning to find that one of the church’s stained glass windows was partially shattered after having what appeared to be a piece of concrete thrown at it. Staff subsequently discovered the statue at the front entrance had been vandalized as well — its hands broken off and face chipped. “Please pray for whomever was capable of such a thing,” Flores added. The statue is a memorial to Ted Koen, the son of the church’s builder, who was killed in a car accident in 1957. St. Joseph’s does not have security cameras and Assistant Police Chief Orlando Garcia said investigators are working to obtain surveillance footage from surrounding businesses. Garcia said the department has “no solid leads to follow up on” at this time. The damages to the statue are estimated at $2,000 and those to the window at $1,000, according to the incident report. The church is working to restore the statue and window with the help of the art department at the University of Texas Rio Grande Valley. Anyone with information about the incident is asked to contact the Edinburg Police Department at (956) 289-7700 or the Edinburg Crime Stoppers at (956) 383-8477.